This article was published on Open Democracy. Sat in the waiting room of Cheltenham Hospital with my Dad I started to google ‘Arriva NHS patient transport’. I had already read all that Hello magazine had to offer, what else was I to do? And so, I read to fill the time. I read about the company that many local NHS Trusts have contracted to provide patient transport. I read with bemusement about their commitments “to the highest quality of care” and about how patients “inspire” them “to achieve excellence” and laughed to myself about how this failed to tally with my experience. I also started to read alarming numbers of patient testimonies describing being let down by them. About how the most vulnerable were being left for hours with no adequate care. That morning I had sat by myself for hours as my Dad failed to show up for his appointment. He was coming from Cirencester, less than half an hour’s drive away, but finally arrived close to 2 hours late. They had picked him up 15 minutes after his appointment time and then proceeded to pick other patients up on the way meandering through Cotswold villages. In that time, I rescheduled his appointment, twice. The receptionist was wonderfully understanding and yet deeply scathing about Arriva. She gave me their direct number saying that the dispatch office of Arriva no longer listened to her. 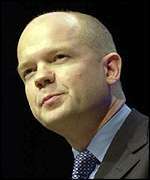 “It shouldn’t but it happens all the time, where we can we will always try and fit people in. Often, I end up having to book patients taxis, it’s not right that people should have to wait around like this” she said. She was apologetic, nice, but in her mind, unable to help or affect the system that was failing patients. After the appointment was over Arriva informed me that they were, once again, running late. I rang them directly. They apologised over the phone to me and said that there would be an hour delay in getting my Dad picked up. This was at 12:15, about the time I had originally agreed to take over looking after my 5-month-old baby, and about 1 hour after my 2-hour parking ticket had run out. I rang at 12:15 to be told they would be there by 1:15. I rang at 3:10 and they arrived a few minutes later. When they did arrive, they apologised for being late by saying “we weren’t sure which department you were in”. I didn’t quite have the emotional energy to respond. I had arrived that morning at 10:30 to support my Dad through a 5-minute routine appointment. I was leaving close to 5 hours later. Sadly, though this seems far from unusual. As one nurse who came out to see us still waiting retorted, “why am I not surprised to see you still here?”. My cursory google search gave dozens of comparable stories. 67-year old Brian Cropton from Stonehouse commented that “it’s just getting worse and worse” after he found himself regularly let down by them being left for hours and on occasion completely abandoned. This chimes not only with the experience of the NHS staff who I spoke to, but also one of the official records. Last year in July members of Gloucestershire County Council’s Health and Care Overview and Scrutiny Committee told Arriva its performance was not good enough. One local Cllr commented that “Arriva have patently failed in a number of areas and it simply isn’t good enough” and that “[The] report is full of excuses”. This came a year after an official warning was issued in late 2015 for “consistent failure to achieve a number of required Key Performance Indicator standards”. I write this now not just because my own experience was awful but because it fits into a wider pattern – not once since Arriva Transport Ltd took the Gloucestershire NHS contract have they hit their own target of 95% of patients being dropped off between 45 minutes before and 15 minutes after their appointments. Pause on this point for a minute. Even if they had hit their targets, 1 in 20 patients would not be dropped off within an hour slot of their appointments. Can you imagine the logistical and financial impact this is having? With one year left on their contract, I wonder if anything will change. Will it just be renewed? Is the NHS in a financial state to pay for better services? Is there any reason not to bring the service back in-house? I don’t know. What I do know though is that the receptionist I spoke to told me about an elderly man who cried in her waiting room because he just wanted to get back to his bed and I know that is not OK. 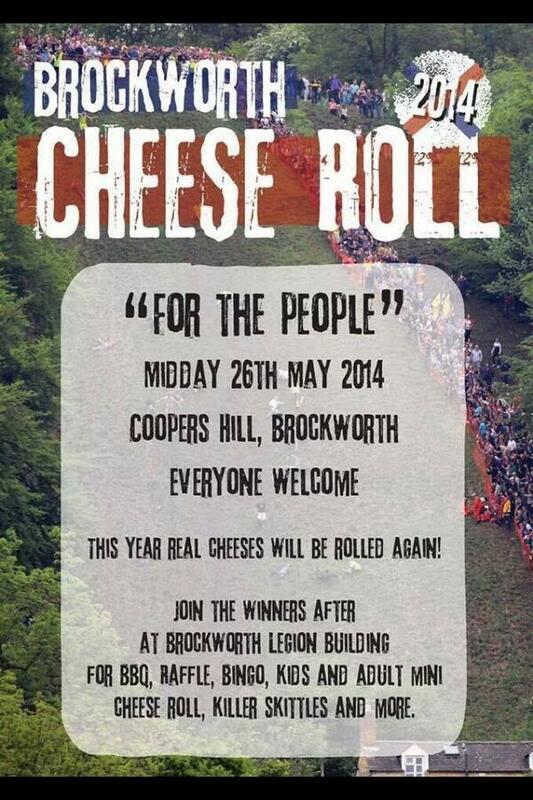 Cheese Rolling 2014: It’s on! 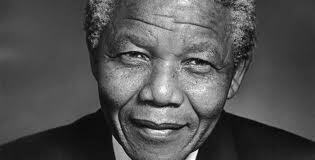 This is a guest post from Brian Oosthuysen on the death of Nelson Mandela. Brian is a Labour Party Gloucestershire County Councillor in Stroud and he is also a consistent campaigner for freedom, fairness and human rights both locally and internationally. Brian tweets @BrianatRodboro. Apartheid was an evil, vicious system which saw the death of many thousands and the incarceration of even more. It dominated all aspects of life and was one of the reasons I left SA as a young man. Nelson Mandela was one of those sent to prison and he suffered in many different and horrible ways during his 27 years behind bars. In the 70s and 80s I often addressed meetings as a member of the Anti-Apartheid Movement in England and I always ended my talk with a look into the future, which I saw as unbearably bleak. “It will”, I would say, “end in bloodshed and the deaths of thousands of black and white people”. And then Nelson Mandela (Madiba) was released and almost immediately transformed the political and social landscape in South Africa, and the Rainbow Nation was born. His act of forgiveness to his former warders, his call for reconciliation and his setting up of the Truth and Reconciliation Committee showed the people of South Africa and the world that he was a man of towering stature and amazing integrity. The constitution which his new government brought in is recognised across the world as one of the most progressive, and his stamp is clearly on it. South Africa has many problems but the South Africa we now have is a country more at peace with itself than it has been since before 1945 when the Nationalist government came to power and Madiba is the reason for this. He lived out that maxim and his death leaves the world a darker, colder place. 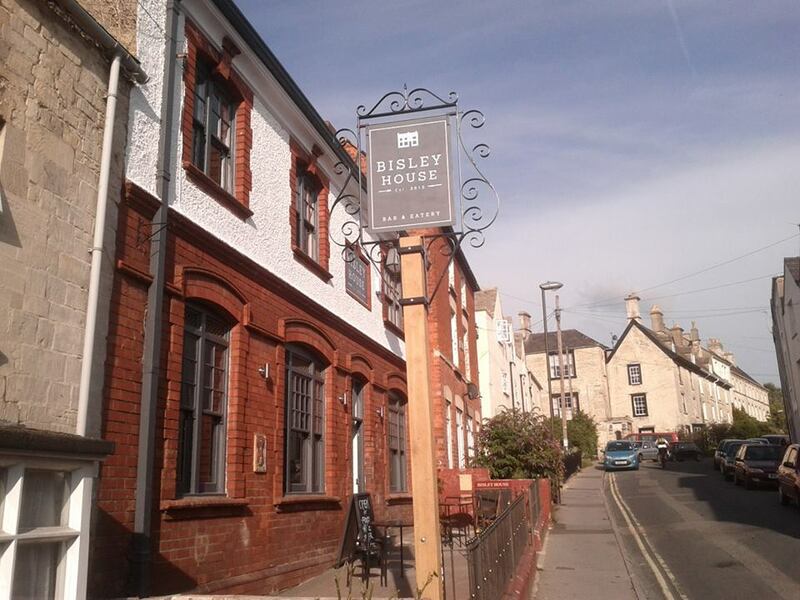 Stroud’s ‘Bisley House’ has just reopened as a family friendly bar/restaurant. Steve Hynd recently caught up with the Manager of The Bisley House, Rorie Scott, to find out how the first few weeks of business have been going. Can you tell us a little about Bisley House and what your vision for the future is? Bisley House is Stroud’s oldest Ale House. We’ve changed it though from being a rundown brewery owned boozer to a family friendly bar-restaurant. Feedback from our customers told us that Stroud needed a great place to eat out, and this is our focus for the Bisley House in the coming months. Our food focuses on Mediterranean flavours and is already developing a bit of a reputation. But Bisley House also has a long standing history as a great drinking place and we wanted to keep this. That’s why we stock a selection of local beers and European wines. Can you tell us a little bit about yourself and how you became the Manager of The Bisley House? The Bisley House is a family run business, owned by my Mum, renovated with the direction of top Project Manager,,,my Dad, and is managed day to day by myself and my wife Ania. We’ve been contemplating the move from my 10 year career as a snowsports coach to get settled back in Stroud. Quite simply, it was an offer and opportunity I couldn’t refuse. When a customer walks though your door for the first time – what’s the impression you hope they will get? The new look Bisley House is much brighter and cleaner than how people might remember it. Returning locals marvel at the work done, while new visitors compliment us on it clean and modern look. Also, the “meet and greet” from myself and the team is genuine and friendly. The service is relaxed and not over fussy. We want people to feel relaxed and at home at Bisley House. You put a lot of emphasis on local products – why is this so important to you? There are several reasons for this. The easiest answer is the environmental aspect. It’s simply much better for our world if we use products that haven’t travelled too far. Secondly, the service tends to be better. Small and local businesses tend to look after each other. To give an example, if we miss our order day with Stroud Brewery, they deliver anyway or we can pick it up. Last but not least, our customers like it. It’s not always possible, or affordable, to use local products though. Local isn’t always the best quality either. But when it is good and if it’s right for us and our customers, we like to choose local. You put a lot of emphasis on your selection of drinks – do you see yourself as competition to the local pubs? Competition is such a strong word. There’s no doubting though that we are a great place to come for a drink. We serve 2 local ales from Stroud Brewery, with a guest ale on the way. We use Cotswold Lager and Cotswold Cider and no less than 11 wines by the glass. The beer garden has served us well these first 2 weeks since opening. Long may the English summer continue! Lastly, what’s your favourite dish/drink at Bisley House? My favourite of the moment is Leon, our chef’s, Chickpea and Pancetta stew. It’s been on our specials board a couple of times but we’d like to make it a permanent addition to our autumn lunch menu. To drink, the Cotswold Brewing Company’s 5% Cider has been a lovely summer tipple. Do you know what Green King IPA tastes like? How about Abbot Ale? 6x? If you have ever drunk an ale before, the chance are you are familiar with these house hold names. How about Stroud Brewery’s Woolpack, or Uley’s Pig Ear, or the Old Rock from Nailsworth brewery? Probably not all three if any of them. Therefore, this blog entry is to encourage the residents of these valleys that I so love (Gloucestershire) to get out there and drink some of the fine nectar that is produced here. If you are a lager drinker skip to the last sentence. It is easy to take for granted the great pubs and breweries we have in Gloucestershire, but it must be noted that not too long ago this wide choice did not exist. 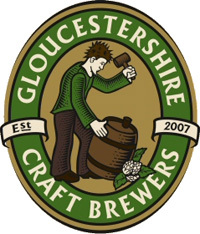 Gloucestershire experienced a “collapse” in its brewing heritage. Thirty years ago you would of had a choice of Whitbread or Whitbread as they dominated the beer industry here in our fair valleys. Although we have a long history of brewing in Gloucestershire, until fairly recently, this had all but disappeared. It wasn’t until the collapse of Whitbread and the birth of Uley brewery in the mid-1980’s that brewing started to have fresh life blown into it’s sales. Today we have a choice of a wide-range of breweries offering a good selection of fine local ales. Today, this is still celebrated through the collection of “Gloucestershire’s Craft Brewers“. It has to be noted however; a minority of the public appreciates this. Most people, even you beer lovers out there, do not know about the microbreweries on your own doorstep, let alone appreciate the process in which beer is made. It is my belief that if people saw with there own eyes the process being undertaken in their local town and villages they would be much more likely to consume these beers in the future (thus strengthening local economies). Personally, I am extremely proud to have good quality local brews that represent local culture and history. This will only last however, if there is demanded for it over the taps…this bits up top you – the drinker. My suggestion to you therefore, would be to start frequenting pubs that offer you an interesting selection of beer (so yes, I am afraid that means avoiding the Green King tied houses), and start sampling what they have to offer. If the free house (or tied house with guest beers) does not have anything you like, tell them about a beer you have had recently and ask if they can get it in. Equally, local ale does not have to be kept to the pubs. Most breweries’ sell directly to the public. Stroud Brewery for example, will sell you bottled conditioned ale all the time, and you can put in orders the week before (to pick up on a Friday) for anything from 2.5 litters right up to a firkin (72 pints). If you are going to a party, why buy a 12 pack (9 pints ish) from Tesco’s for 14.99 when you can get 5 litres (9 pints ish) of local organic ale for £15? Lastly, I strongly recommend you go and have a look round a microbrewery. Most of the people you find working in places like this are people who are in there for the love (believe me you do not make your millions by brewing, nor do you get critical acclaim). If you asked them, I am sure they would be more than happy to talk you through how it all works. By the time you get your head round the whole process you might think that £3 a pint actually represents a bargain. If you want to know where to drink in Gloucestshire have a look at here for a list of pubs who have committed to stocking at least one local beer (in Gloucestershire) or pick up the latest copy of the Good beer guide. If you trust me, leave your postcode in the comments box and I’ll try and respond with some pubs that I think are ace with say 10 miles of where your based (as long as your from Gloucestershire). If you are a lager drinker, don’t feel left out…you can try tasty lagers such as Cotswolds larger.